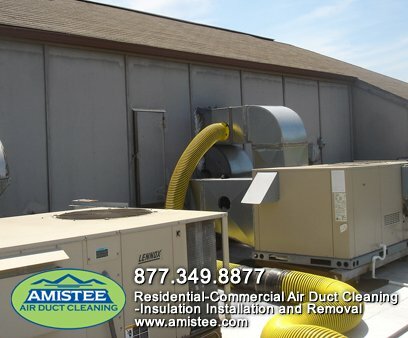 Air Handlers Amistee specializes in improving indoor air quality by providing air handler unit cleaning services to Southeastern, Michigan. The indoor air quality of a commercial building has a profound impact on the health and productivity of the employees that work there. Any contaminants that have accumulated within the facility’s heating, ventilation and air-conditioning (HVAC) system will spread throughout the space polluting the air that you and your team breathes in. These particulates can cause health concerns and jeopardize the safety of your workers. The National Air Duct Cleaners Association (NADCA) states in their Assessment of Cleaning and Restoration of HVAC systems that, “Cleaning is highly recommended for heat-exchange coils, cooling coils, air-flow control devices, filtration devices, and air-handling equipment determined to have restrictions, blockages, or contamination deposits that may cause system performance inefficiencies [or] air-flow degradation, or that may significantly affect the design intent of the HVAC system.” Properly cleaning all components of your HVAC system, including the air handler unit, will protect the health of your employees and maintain the indoor air quality of your commercial building. 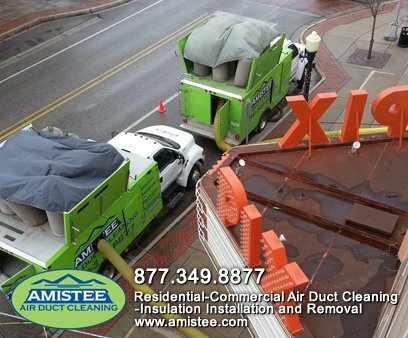 Amistee provides complete duct cleaning services for the ventilation systems of commercial buildings, no matter what size. Our highly-trained team of technicians has both the expertise and the proven reputation to thoroughly and comprehensively clean the components of your HVAC system, including the air handler unit (AHU). The AHU has a blower fan, condenser and evaporator coils, filters and dampers. The air handling unit is the device that is used to condition and circulate air as part of the HVAC system. The coils heat or cool the air and then the blower fan forces it through the ductwork and distributes it throughout your commercial building. The contaminants that have collected within your HVAC system will accumulate on the blades of the blower fan and on the coils. The air that flows over the evaporator and condenser coils and the blower fan will deposit debris and build-up. As the system runs, the blades then spread these pollutants throughout your ventilation system and into your indoor air. Properly cleaning the components of the air handling unit in your commercial building will improve the indoor air quality of your facility and also improve the efficiency of your HVAC system. 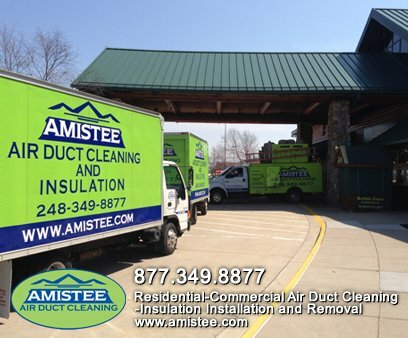 Amistee understands the importance of providing a complete and thorough cleaning of the entire ventilation system. 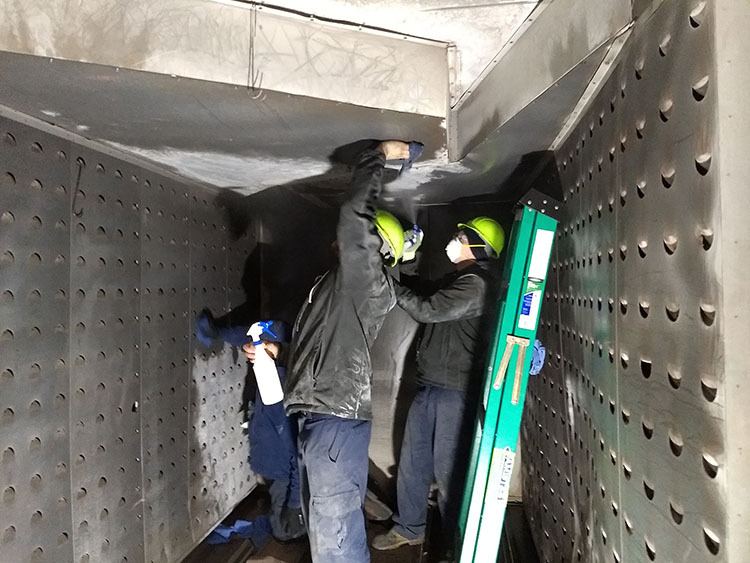 This is why our team utilizes the most advanced techniques and methods of the air duct cleaning industry in order to provide a quality and premium cleaning service for commercial properties. Call Amistee today and find out how simple it is to schedule a free estimate. We will work with commercial building owners and facility managers to coordinate the most convenient time to provide the cleaning of the facility's HVAC system. Our professional team of experts will to be happy to answer any questions you may have and provide an accurate estimate at an affordable cost. Ultimately, our goal is to improve the indoor air quality of your commercial property so contact us today at 248-349-8877 and find out why we are considered leaders in the commercial duct cleaning industry. 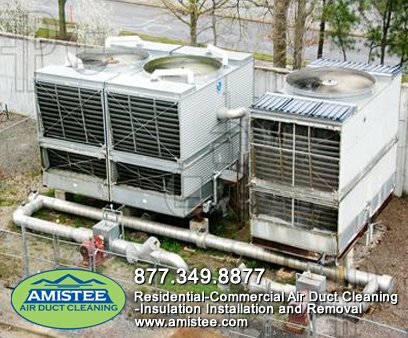 Amistee specializes in improving indoor air quality by providing air handler unit cleaning services to Southeastern, Michigan. The indoor air quality of a commercial building has a profound impact on the health and productivity of the employees that work there. Any contaminants that have accumulated within the facility’s heating, ventilation and air-conditioning (HVAC) system will spread throughout the space polluting the air that you and your team breathes in. These particulates can cause health concerns and jeopardize the safety of your workers. The National Air Duct Cleaners Association (NADCA) states in their Assessment of Cleaning and Restoration of HVAC systems that, “Cleaning is highly recommended for heat-exchange coils, cooling coils, air-flow control devices, filtration devices, and air-handling equipment determined to have restrictions, blockages, or contamination deposits that may cause system performance inefficiencies [or] air-flow degradation, or that may significantly affect the design intent of the HVAC system.” Properly cleaning all components of your HVAC system, including the air handler unit, will protect the health of your employees and maintain the indoor air quality of your commercial building.